The Folio dimensions are 8.5x11'' and it is offered as an unsigned and unlimited edition. 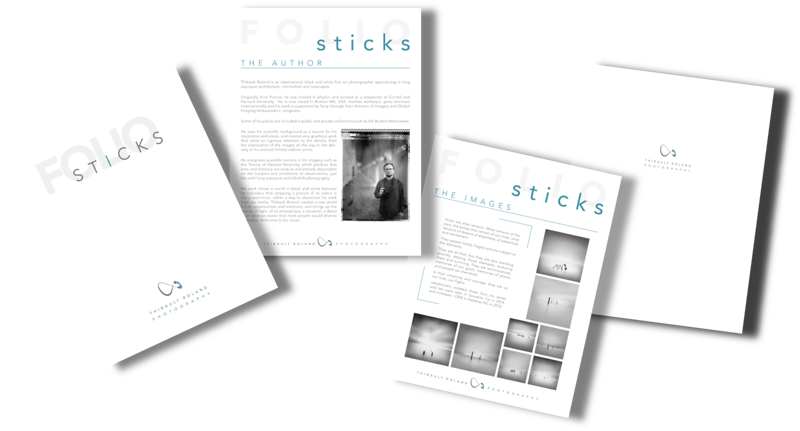 - height of the best images from the series Sticks which can be matted and framed: Three, Four, Six, Seven, Ten, Nineteen / ONE, Adventurers and Isolated. 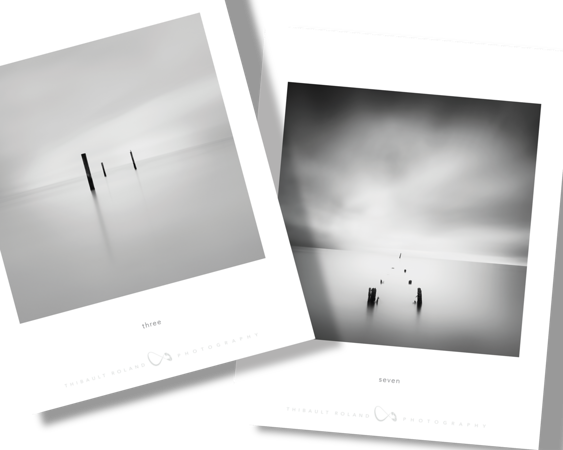 Each image is 7x7'', much smaller than the limited signed editions. 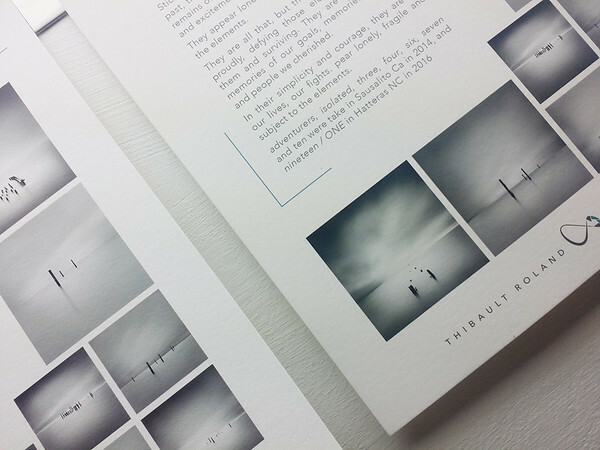 The entire Folio is printed on archival grade 308gsm Photo Rag Hahnemuhle paper to ensure its best quality. 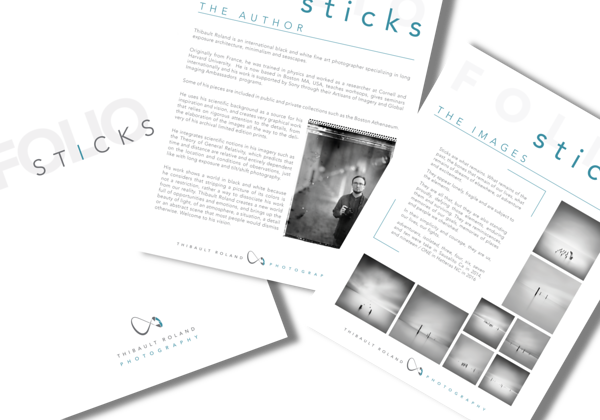 Each image sheet contains the title and Artist logo which are far enough so the photographs can be matted and framed at the discretion of the collector. 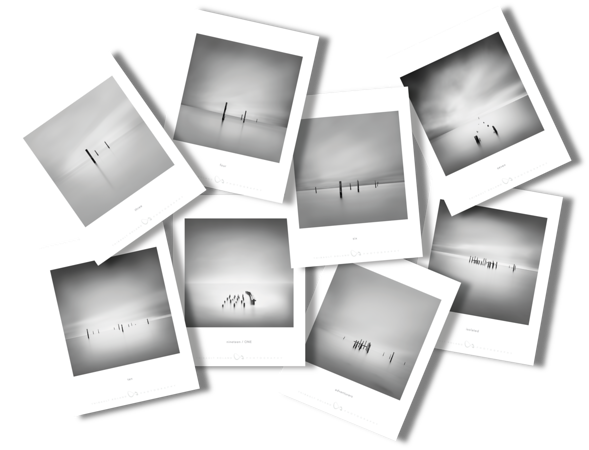 This Folio is the most economical way to acquire, collect and show some of Thibault ROLAND's most iconic work. This Folio is printed on archival grade heavy cotton paper (Hahnemühle Photo Rag 308gsm) which guarantees that properly protected prints will stay untouched for more than a century. This paper has a matte finish and ensures the deepest density of blacks as well as the highest level of details. This paper has been the recommended substrate by generations of museum curators around the world. Each page is also treated with Hahnemühle protective spray to limit scraping and scratches caused by handling. It is recommended to use cotton, lint-free gloves to handle the pages, to keep them as much as possible in their sleeve or mat and frame them in order to prevent degradation. Please note that each page is controlled individually by the artist before shipping, and that only the highest quality product is allowed to be shipped to the collectors. This quality check ensures that all pages are perfect and ready to hang should the collector decide so. Please use the contact form in the menu higher and make sure to include your email and shipping addresses.